Ms. Heidi Klimp has worked at RHCDS since 1989. She has a Bachelors degree from UCLA in Germanic Languages and a Masters degree from Cal State Long Beach in Elementary Education. Her favorite part of working at RHCDS is the “close knit” feeling of the faculty. The students want to learn which makes teaching more fun. 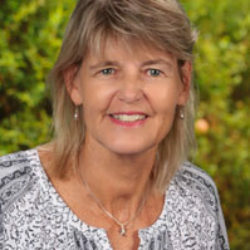 Ms. Klimp loves to travel, play beach volleyball, bike and spend time with family and friends.